Begonias are native to tropical climates, and this image looks to us like an azure sea dotted with golden islands. Perhaps you agree? 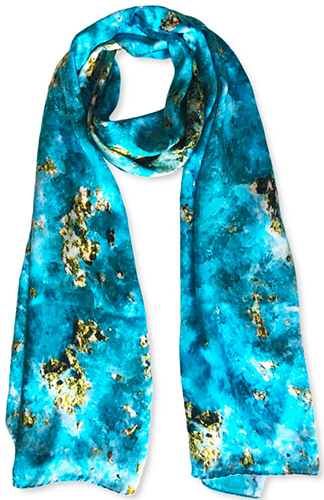 The azure colour is appropriate because this is a natureal combination of two minerals: the blue "sea" is azurite, and the "gold" is pyrite - often known as fools' gold. Together, they make for a glorious celebration of the spirit of summer.